The lenses are high-quality Zeiss glass. The headset is lightweight and sits comfortably on your face. A variety of trays accommodates a range of smartphones. 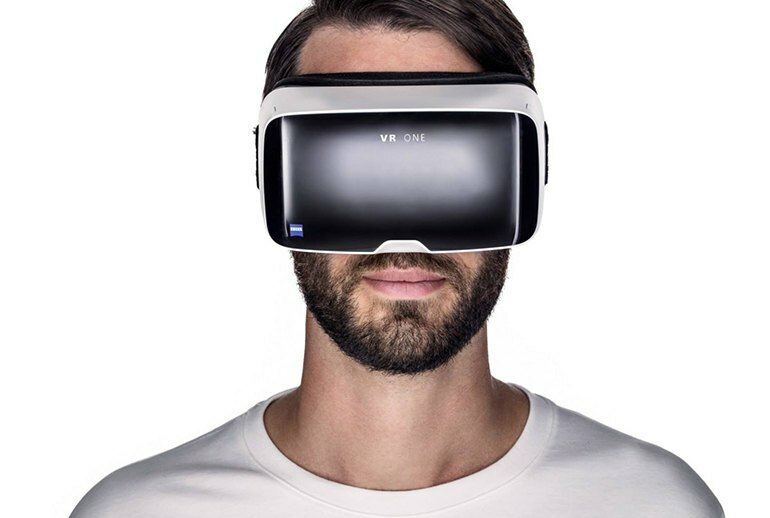 The Zeiss headset lacks convenient controls. 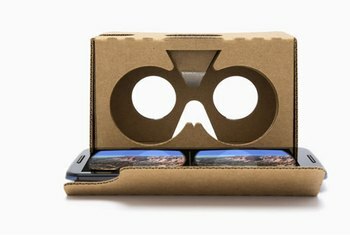 It's overpriced for what it offers, which is basically a glorified Google Cardboard made of plastic, backed by higher quality lenses. Despite their quality, the lenses are one-size-fits-all and can leave some users feeling dizzy or sick. The Zeiss VR One is a relatively inexpensive VR headset that runs via your smartphone. Its customized slide-out tray lets you view content from handsets with sizes ranging from 4.7 to 5.2 inches (specifically the Samsung Galaxy S5, S6 or iPhone 6), while its plastic construction makes it lightweight and easy to wear. The design and lenses are high quality and aesthetically pleasing, The VR One can be comfortably worn with eyeglasses, and it has ventilation ports to prevent fogging on the Zeiss lenses. 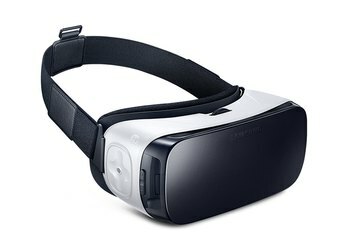 A tinted, semi-transparent visor on the front of the headset allows a smartphone camera to function with augmented reality apps, letting viewers observe both worlds. Potential for future development is practically limitless. 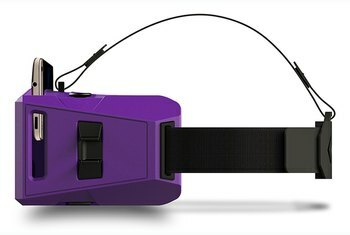 The not so good: The VR ONE‘s optical display rests just in front of the eyes while worn properly, but the field of vision is only as large as what a cellular device will allow and covers what we approximate is about 70% of the users full field of vision. That means there’s no way to adjust either the distance between the lenses and your eyes or the interpupillary distance. For most users, this is important. 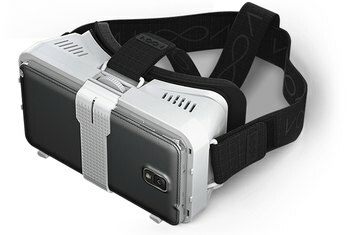 For me, and every other person that I’ve had test the VR One, the image has been blurred and always slightly out of focus – even while wearing contacts or glasses, which are well accommodated by the VR One. 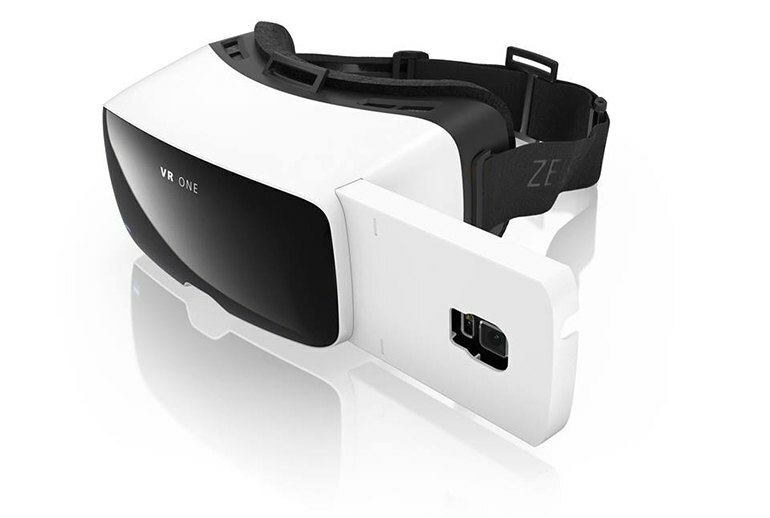 The Zeiss VR One is compatible with the iPhone 6 or the Samsung Galaxy S5, but you'll need to know which you'll be using upon purchase as the device comes with a smartphone tray that's designed to specifically fit your model of smartphone. [T]he phone's tray has a cut-out for it to peek through, and the covering on the front of the headset – which looks mostly opaque in pictures – is transparent enough for the camera to view your environment. This element works well, and the augmented views of your real environment don't look cloudy or distorted. Zeiss decided to ditch the adjustable lenses and aim for a ‘one size fits all’ experience. Sadly, one size does not fit all. In fact, my experience was not isolated. 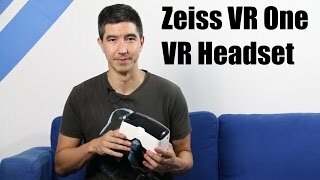 I had four other individuals try out the Zeiss VR ONE headset with half of them confirming that they felt dizzy or sick after the experience. In addition, it is important to know that the headset cannot work with bigger mobile phones like an iPhone 6 Plus and LG G3. 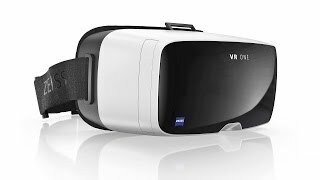 However, there is a general sensation that Zeiss will find its market seeing that a Gear VR is compatible only with the Galaxy Note 4, meanwhile the VR One can hypothetically be connected to a lot more models of smart phones. 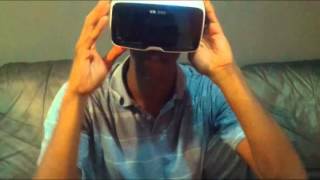 There is no tab or control touch pad, the users just need to simply select an VR app from smartphone and plugin and play! 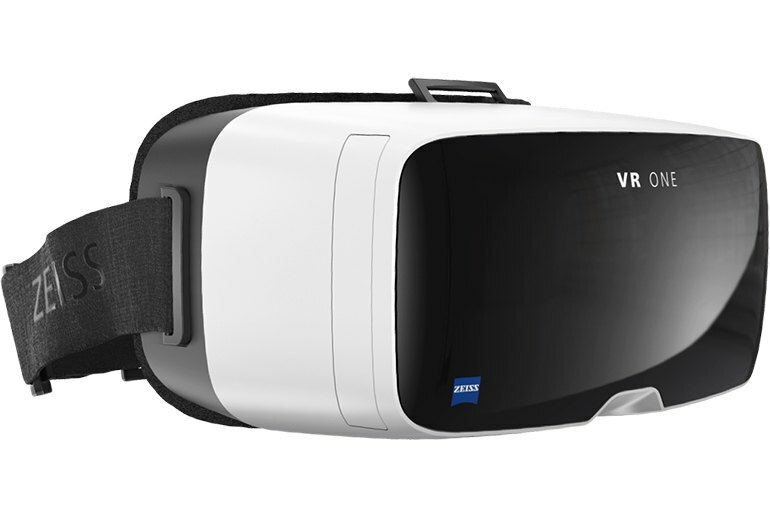 ZEISS VR ONE currently supports Samsung Galaxy S5 and the iPhone 6. Other model phone trays are available for 3D printing with a free CAD Download from ZEISS and other trays are also in the pipeline. 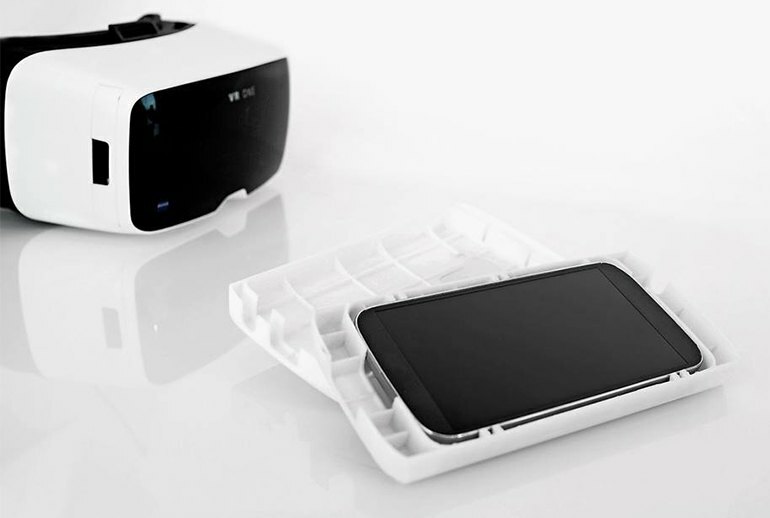 Each Zeiss VR One headset requires a specific smartphone tray for the phone you have. Some would view this as a downside, given that it is not compatible out of the box with multiple phones, but it allows the phone to be in the optimal position for the best focus possible. You are not limited in the amount of trays that you can use with the same headset. 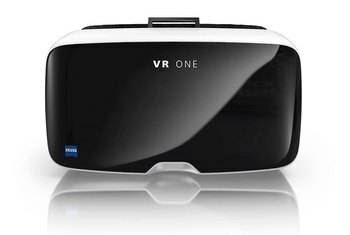 That said, if your phone is supported, the VR One offers a very promising mobile virtual reality experience. Zeiss walked me through a small collection of demo apps launching with the device: a movie theater app, an augmented reality demo and a very simple space simulator. You can tell Zeiss went to the trouble of finding functional materials to really craft their product. The white and black look reminds me of high end ski masks you see all over the NH slopes come winter time. While I don’t think it will ever be possible to look cool wearing virtual reality goggles this particular HMD is about as stylish as you can get.